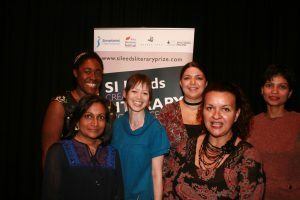 The 2012 Award Ceremony for the SI Leeds Literary Prize was awarded on Wednesday 3 October as part of the Ilkley Literature Festival. 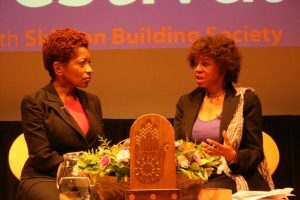 An extremely enjoyable and inspiring evening, the event featured Chair of the Judges, Margaret Busby OBE, in conversation with prize Patron, critic and writer Bonnie Greer OBE. Busby announced the four winners in alphabetical order, who each took turns to give memorable readings of extracts from their winning entries to a full house at Ilkley Playhouse. 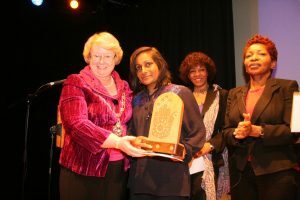 The SI Readers’ Choice award was given to Karen Onojaife Borrowed Light in the 2012 award ceremony. 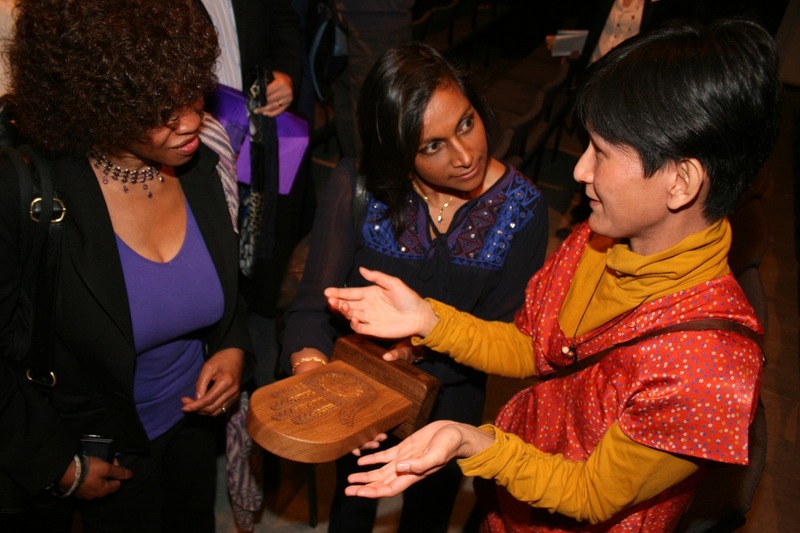 Minoli Salgado received the newly commissioned trophy by Yorkshire artist Seiko Kinoshita from prize Patron and President of Soroptimist International Great Britain and Ireland, Maureen Maguire. 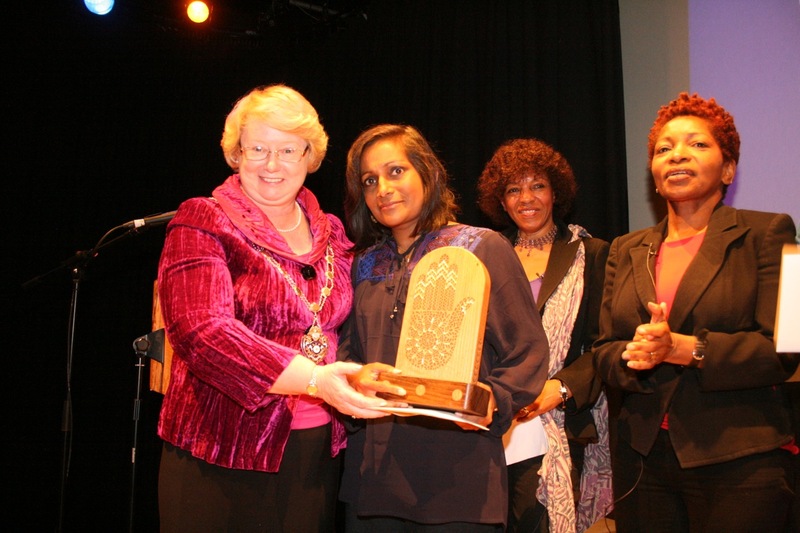 Click here for details on the 2014 award ceremony. Entries are open for the 2016 prize!